The new laboratory will link with other specialists across the UK to improve the way cancer treatments are developed. A groundbreaking new Cancer Research UK Centre has opened its doors in Edinburgh. The world class laboratory is the latest to open as part of the charity's quest to create a nationwide chain of linked specialist centres. The Edinburgh Cancer Research UK Centre aims to build upon the city's existing reputation in genetic and biological research to set the pace for national and international progress in bowel, breast and ovarian cancers. Staff will work alongside other specialist units in the UK, including the Dundee Cancer Research UK Centre which opened earlier this year, to improve the medical care offered to patients. Scientists and clinicians from Cancer Research UK, the University of Edinburgh and NHS Lothian will also work on tackling the problem of cancer cells spreading and developing resistance to drugs. Professor David Cameron, Head of NHS Lothian Cancer Services and the new facility's Clinical Director, said: "This is a very exciting development for cancer patients and for research in Scotland. The new Centre will help researchers and clinicians to collaborate and work together to improve the lives of cancer patients across Lothian and Scotland. "By building closer links between scientists and doctors we want to increase our knowledge about cancer and speed up the pace of research, leading to improved treatments for patients." 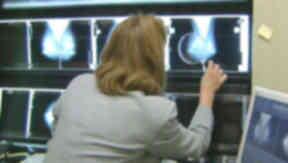 Around 27,000 cancer cases are diagnosed in Scotland each year and the disease claims more than 15,000 lives annually. Now, those behind the new centre hope it will help improve the way new treatments are developed and tested. Susan Oliver was diagnosed with ovarian cancer in 2005. She went into remission following six months of chemotherapy, but her cancer returned a year later. The 58-year-old from Dalkeith was then given the chance to take part in a new clinical trial at the Edinburgh Western General, which saw her closely monitored on hospital visits while taking four tablets, known as PARP 1 inhibitors, each day. She said: "I knew it wouldn't cure my cancer, but the trial has given me two wonderful and healthy years to enjoy and I am so grateful for the opportunity to add to our understanding of cancer and improve the way future patients are treated. "The trial might have had serious side effects, or it might have done me no good at all. But it was an opportunity worth taking and I knew that I was in very safe hands here in Edinburgh." Cancer Research UK already supports existing scientific work in Edinburgh, but the charity is set to increase its contribution to more than £5.6m a year. Harpal Kumar, chief executive of Cancer Research UK, said: "Huge progress has been made in beating cancer since the charity was formed and we're determined to carry on. "Funding these centres of excellence is one of the charity's priorities and will enable us to work towards the goals we have set to improve the treatment and survival of cancer patients. But we continue to welcome the generous donations we receive from the public to ensure we can continue to build on what we have started today."